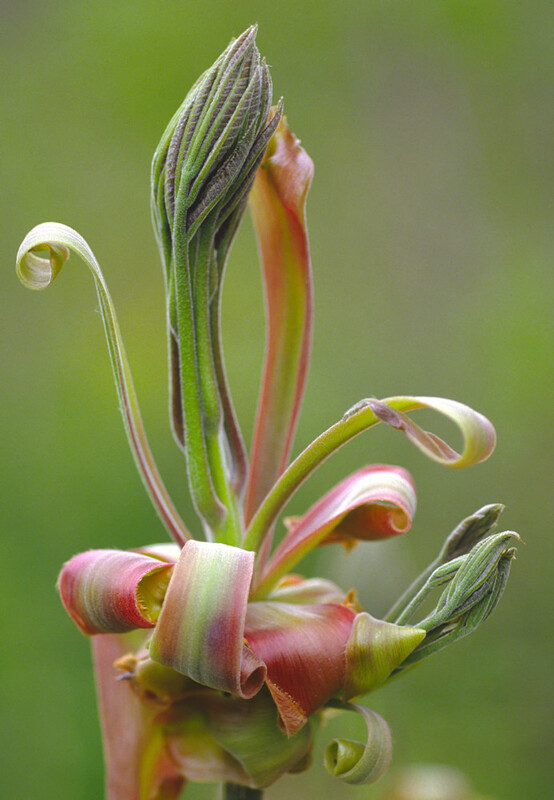 Shagbark hickory (Carya-ovata) bud with the protective bud sheath gracefully unfurled to reveal the tender leaf and flower bud. The Shagbark Hickory tree protects its tender new buds with a tuff sheath that, when the bud is ready to open, peels back into the graceful curls you see here. The sheath helps protect the tender buds and flowers from damage by late frosts and munching insects.